With the 2018 Olivier Awards due to take place on Sunday 8 April at the majestic Royal Albert Hall in London, let’s take a whistle stop tour of the hit shows to have played the theaters of the West End this year. Established in 1976, the Olivier Awards celebrate the best of London theater and this year is no exception! I was fortunate enough to see three of the shows nominated this year (Angels in America, Follies and An American in Paris) and they were all spectacular. It is no surprize that the show leading the way at the 2018 awards is Lin-Manuel Miranda’s smash hit, Hamilton. The show dominates the musical categories with three out of the four nominations for Best Actor in a Supporting Role and two out of four for Best Actor in a Musical, along with nominations for Best Director and Best New Musical. Lin-Manuel Miranda has also been nominated for the award for Outstanding Achievement in Music. Following rave reviews on Broadway, the musical opened at the Victoria Palace Theatre in December 2017. Described by critics as “a game-changer” (Radio Times) and “the best and cleverest thing on the London stage” (Time Out), its success looks set to continue on this side of the pond. 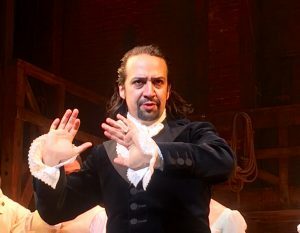 Hamilton has broken the record for the most nominations by a single production with a whopping total of 13. Following closely behind, however, is the National Theatre’s revival of Stephen Sondheim’s Follies. Featuring a huge cast of 37 performers, a 21-piece orchestra and a stunning set, the show was an unforgettable piece of theater that well deserves its 10 nominations. One of its leading ladies, Imelda Staunton, has been nominated for two Olivier Awards this year–Best Actress in a Musical and Best Actress in a Play (Who’s Afraid of Virginia Woolf)–bringing her nomination tally to a potentially lucky 13. Over in the plays, several productions are firmly leading the way in the nominations. Directed by Sam Mendes, Jez Butterworth’s The Ferryman has received 8 nominations, including Best Actor, Best Actress, Best Director and Best New Play. It was the fastest selling production in the history of the Royal Court Theatre before it moved to the Gielgud Theatre in June 2017. Having already won the Evening Standard Theatre and WhatOnStage Awards for Best Play and Best Director, The Ferryman is in a good position to add a couple more awards to its growing collection. The production is due to transfer to the Bernard B. Jacobs Theatre on Broadway in October 2018. A play that has already transferred to Broadway and is wowing critics and audiences alike is the National Theatre’s revival of Angels in America. This is an epic, two-part production that sold out in London in a matter of days. Featuring a stellar cast, including Andrew Garfield, Nathan Lane, Russell Tovey, and Denise Gough, the production has been nominated for 6 Olivier Awards, including Best Director, Best Actor (Andrew Garfield), and Best Revival. The other big-hitters in the plays include the Harold Pinter Theatre’s production of Who’s Afraid of Virginia Woolf and the Almeida Theatre’s revival of the Shakespeare tragedy Hamlet, both of which have received 3 nominations a piece and accompany Angels in America in the nominations for Best Revival. Robert Icke’s modern-day production of Hamlet starred Andrew Scott in the title role and his performance has been acclaimed as a “career defining performance” (The Evening Standard). It was recorded as-live and broadcast in the UK on BBC Two and you can watch it for a limited period here [http://www.bbc.co.uk/programmes/b09yj7dz]. It is not to be missed! So that concludes our quick glimpse at the buzz surrounding this year’s Olivier Awards. A full list of all the nominations can be found below. Whatever the outcome, it will be an exciting evening celebrating the best of British theater. 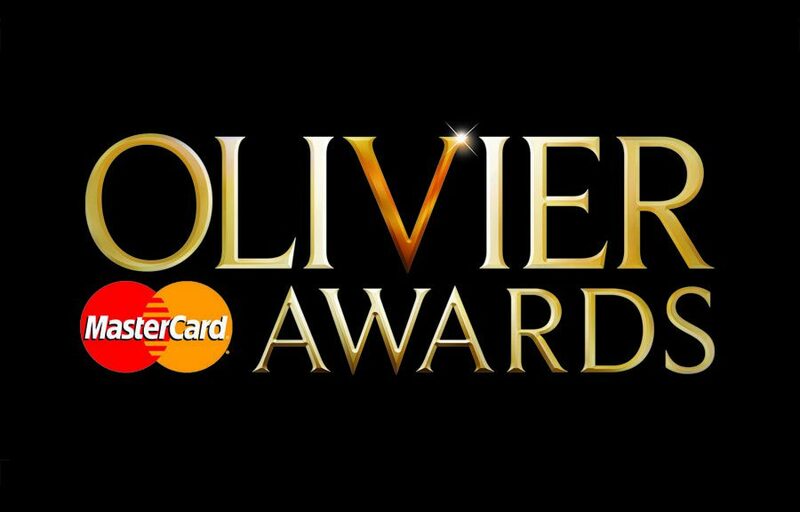 You can watch the Olivier Awards highlights show in the UK on ITV straight after the ceremony at 10.20pm, or from outside the UK on the Olivier Awards Facebook page [https://www.facebook.com/OlivierAwards/] at the same time. Alex is a freelance writer and editor with a PhD in theatre history. She is also a performer and director, previously running a successful theatre company and youth theatre company in the north of England. Alex is from the UK and lives just outside London with her young family. She is enjoying introducing them to the theatre! News, thoughts, opinions and advice for the performing arts community. and Jumpstart Your Theatre Career!